This gorgeous blouse is a must have for this seasons wardrobe. It’s loose fit, lightweight material and silk feel make this top easy to wear and easy to pair with a variety of looks. 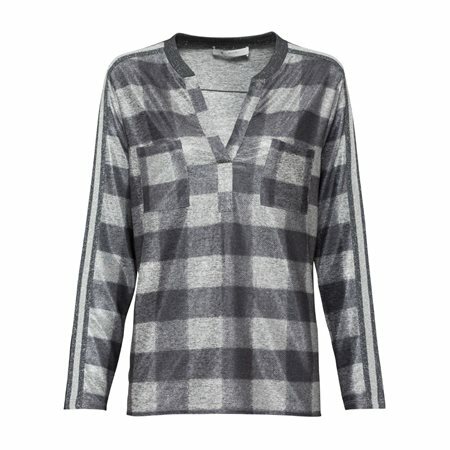 This top contains various tones of grey with two open pockets across the bust. You will also notice the metallic strips from the shoulder down along with its eye-catching Swarovski Crystal detailing on the finish of its low V cut neckline.